With Anthony Martial’s future at Old Trafford up in the air, Jose Mourinho has identified a new winger to replace the Frenchman. 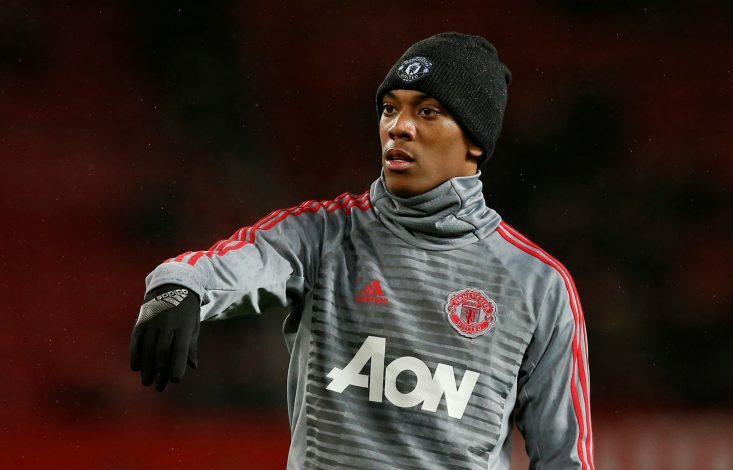 Tottenham Hotspur and Bayern Munich are said to interested in Martial, who is in the final year of his contract. After not being able to nail down a place in the team, the former Monaco player is frustrated with life in Manchester, and is eyeing a new pasture. That, in turn, has encouraged Manchester United to act quickly, and they have set their eyes on Croatian forward Ante Rebic. The player impressed for his national side in the recently concluded FIFA World Cup 2018. Croatia reached the final, where they lost against France in Moscow. Now, as per the Mirror, United are reportedly preparing a £44 million bid for the Eintracht Frankfurt winger. The player provides quite the promise, which has excited Jose. Although reckless, he has good pace and can be handy in scoring goals. He scored against Argentina in the group stage in the World Cup, as Croatia won the game 3-0. The 24-year-old has plied his trade at a host of clubs that include the likes of RNK Split, Fiorentina, RB Leipzig, Verona, and finally in Frankfurt. If United do go for him, then this will be the biggest club of his career so far. The player has played for Croatia 21 times, and has scored two goals in return. Meanwhile, besides Rebic, another player that United are interested in is Rebic’s fellow international teammate Ivan Perisic. Last summer, the Mancunian club missed out on signing the player, as Inter Milan demanded a mammoth fee. But reports state that United could once again be back for the player, who was sensational for Croatia in the World Cup.